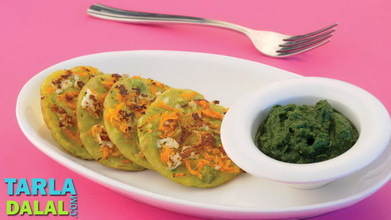 Chilas are delicious pancakes unique to the desert province of Rajasthan. 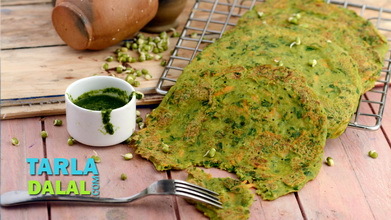 This unique recipe turns the homely chila into an exotic treat by stuffing it with a wholesome and flavourful sprouts mixture. 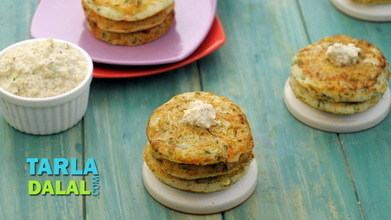 This versatile stuffing can also be used as a sandwich topping, wrapped in chapatis or had just plain, as a snack in its own right! 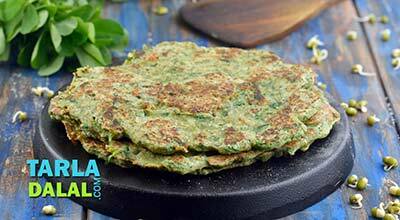 Loaded with skin-friendly nutrients like vitamin A, iron and folic acid, the Stuffed Chila not only improves the health of your skin, but your overall immunity too. 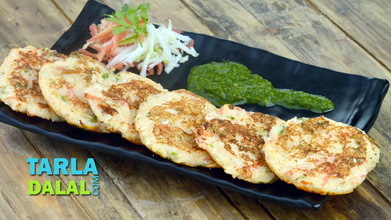 All the more reason to treat your family to these delightfully tasty chilas. Heat the butter in a broad non-stick pan and add the cumin seeds. When the cumin seeds crackle, add the green chillies and onions and sauté on a medium flame for 1 minute. Add the tomatoes, mix well and cook on a medium flame for 2 minutes. 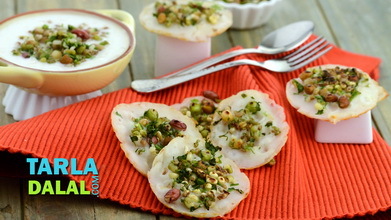 Add the mixed sprouts, chaat masala and salt, mix well and cook on a medium flame for 2 minutes. Remove from the flame, add the coriander and mix well. Combine all the ingredients in a deep bowl along with approx. 1¼ cups of water and mix well to make a thin batter of pouring consistency. Keep aside. Heat a non-stick tava (griddle) and lightly grease it ¼ tsp of oil. 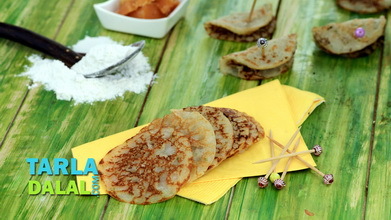 Pour a ladleful of the batter on the tava (griddle) and spread it evenly to make a thin circle of 150 mm. (6") in diameter. Cook, using ¼ tsp of oil, till it turns golden brown in colour form both the sides. 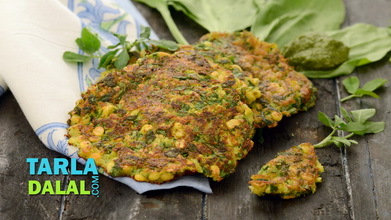 Place one portion of the stuffing on one half of the chila and fold it to make a semi-circle. Repeat steps 2 to 4 to make 5 more stuffed chilas.